Our beautiful, new-look magazine will be hitting doorsteps this week! Here's a preview of the specially commissioned cover by artist and illustrator, Sam Falconer, which brings together the many facets of The Arts Society's work, from our lectures, volunteering activities and cultural tours, to our Young Arts and grant-giving initiatives. Don't miss the timeline of the last 50 years of art, and personal stories from across the Society to mark our golden jubilee. There is a focus on ceramics, an interview with post-punk artist Linder (Chatsworth House's first artist-in-residence), and a feature on Tate Modern's new exhibition Picasso 1932. Happy 2018! 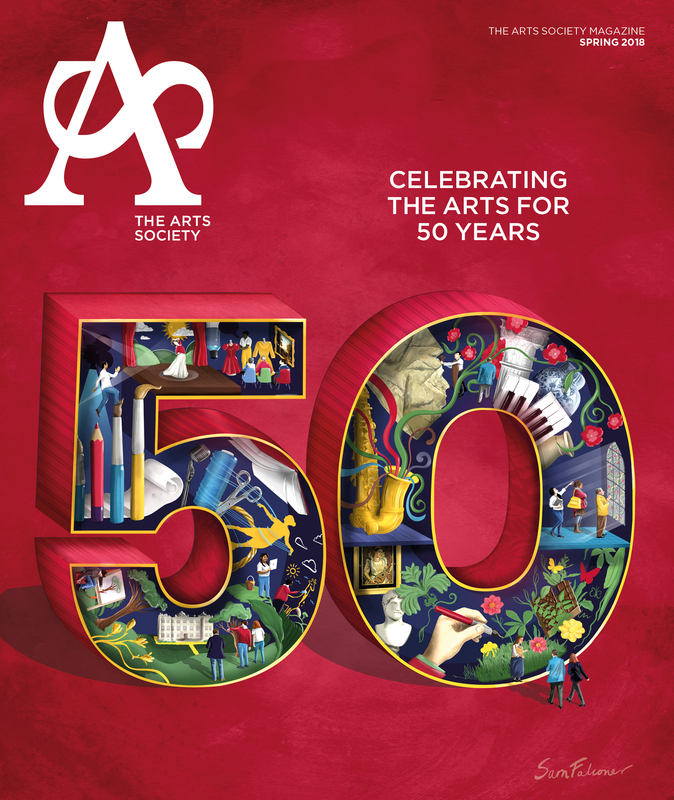 This year The Arts Society will celebrate a milestone in the organisation's history; its golden anniversary.